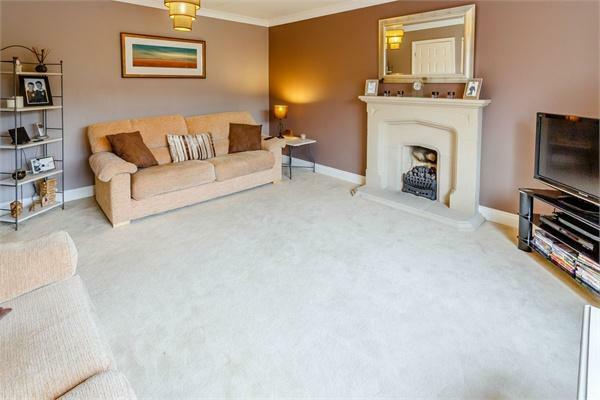 Reception Room One 15'10" x 13'9" - attractive feature fireplace with living flame gas fire and fitted carpet throughout. Reception Room Two 14' 9" x 10' - with wooden flooring throughout. 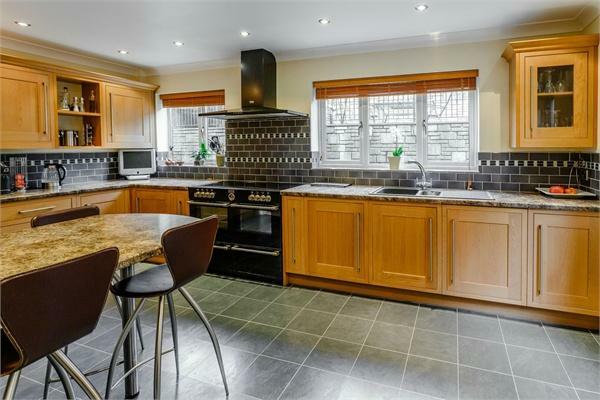 Kitchen 16' 8" x 9' 10" - with an excellent range of oak effect wall and base units, rolled edged work surfaces, matching breakfast bar and tiled surrounds. 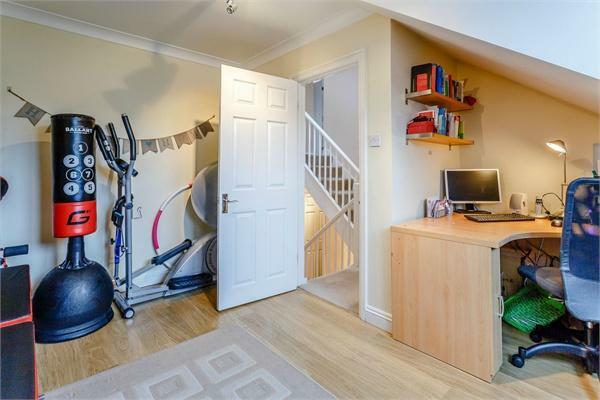 Space for range cooker (available by separate negotiation). Integrated appliances including Bosch dishwasher. Cupboard concealing Worcester gas fired boiler. 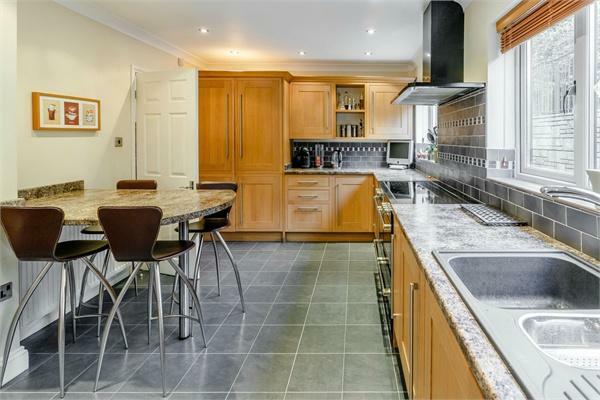 Utility Room 7' x 5' 3"- Fitted wall and base units to match kitchen, integrated washing machine and tumble dryer. WC: Suite of low level wc and corner wash hand basin with mixer tap and cupboard beneath, with part tiled walls and tiled flooring. Bedroom One 11' 9" x 10' 5" - built in wardrobes and access to En-Suite shower room. 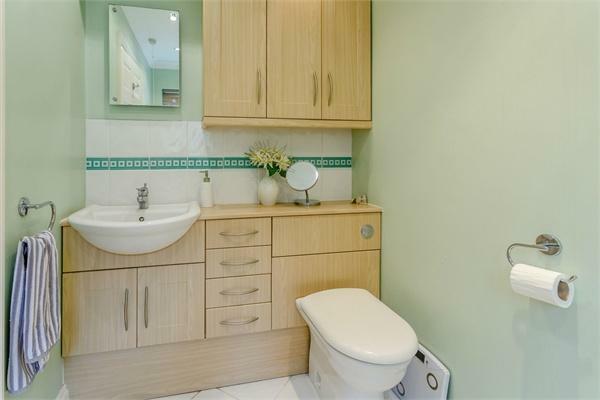 En-suite - Modern three piece suite with tiled corner shower enclosure with Groher shower head, low level wc with concealed cistern set in vanity unit with drawers and cupboards. 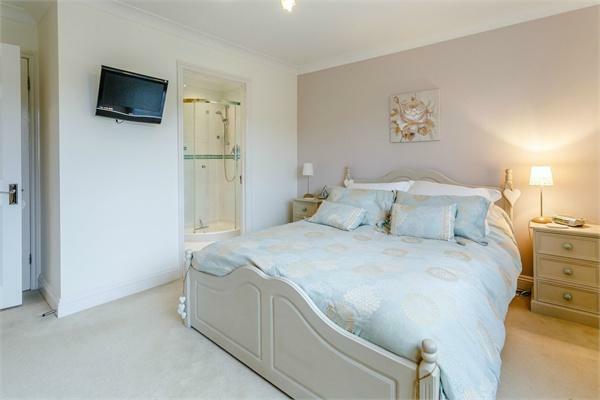 Tiled walls and flooring, heated towel rail, ceiling mounted downlighters. Bedroom Two 12' 10" x 12' 9" - Presently used as a study/family room, with under eaves storage. Bedroom Three 14' 9" x 9' - uPVC double glazed window overlooking the rear garden, radiator. 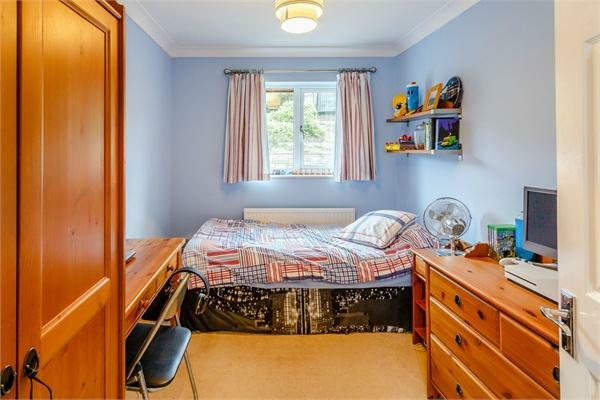 Bedroom Four 10' 3" x 8' 8" uPVC double glazed window overlooking the rear garden, radiator. 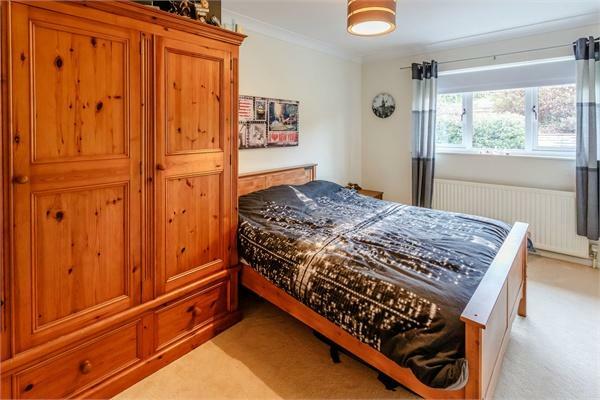 Bedroom Five 10' 2" x 7' 8" uPVC double glazed window overlooking the rear garden, radiator. Bathroom with three piece modern suite with chrome finished fittings comprising WC and wash hand basin set in vanity unit with cupboard beneath, panelled bath with screen and over head shower. Groher taps and fittings as well as heated towel rail. 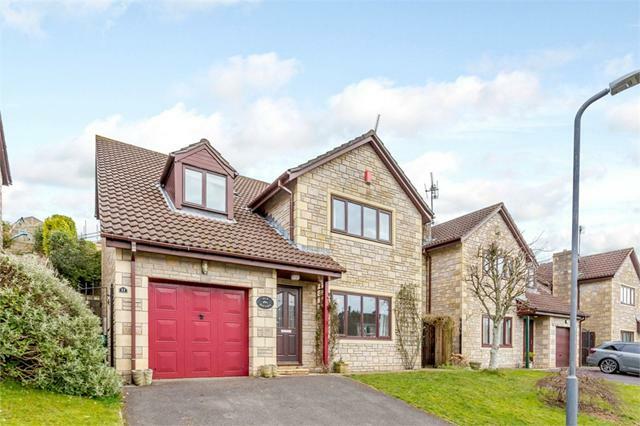 To the front aspect of the property is a double width driveway which provides off road parking as well as integrated garage approx 17' 7" x 9' with up and over entrance door, power, light and water tap connected. Garden mainly laid to lawn with an acer. 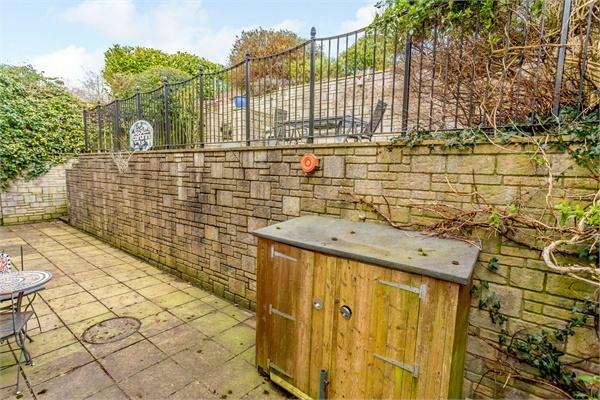 There are gated access to the garden at the rear aspect of the property. 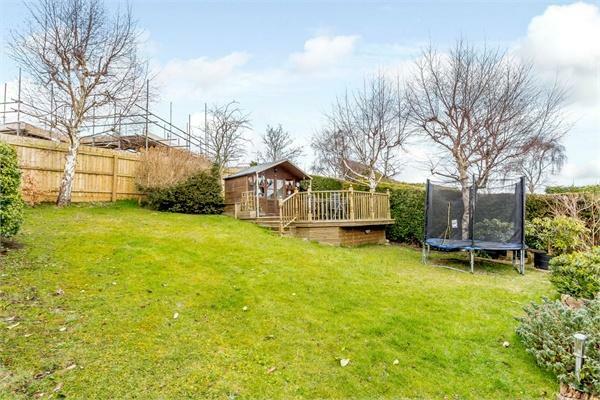 The garden to the rear aspect of the property is landscaped into three tiers. 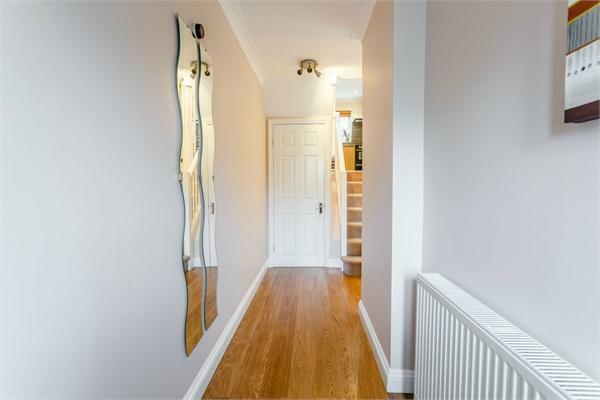 Immediately to the rear is a paved terrace with steps leading to a pleasant sun terrace, above which is a landscaped bed with shrubs and bushes. The upper tier of the garden is laid predominately to lawn with shrubs and trees. There is a timber summerhouse with power light and water connected with a decked area to the front suitable for Al-Fresco dining.